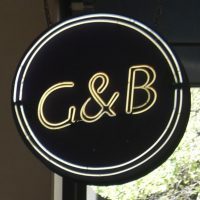 On a trip to Cardiff a few years ago, I visited the Castle Emporium, a hub of independent one-off shops and businesses, including art, fashion and a barbershop, all set in the halls of what was originally a 1920s cinema. I distinctly remember thinking at the time that what the place needed was a speciality coffee shop. Fast forward to the end of 2016, and my wish became true as Hard Lines Coffee moved into the ground floor. Hard Lines occupies a counter to the right of the entrance, with some seating opposite. 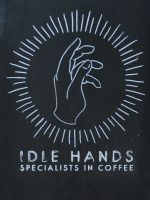 Originally known as Outpost Coffee & Vinyl, Hard Lines sells both coffee and records, specialising in newly-released vinyl. 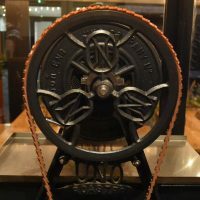 When it comes to coffee, Hard Lines is just as specialised, a true multi-roaster, with rapidly rotating options on both espresso and batch-brew. 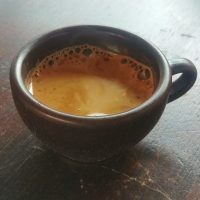 Bristol-based Clifton Coffee Roasters and Extract Coffee Roasters, along with Liverpool’s Neighbourhood Coffee, provide the espresso, which changes every week. Meanwhile various roasters appear on batch-brew, with a different one popping up each day. 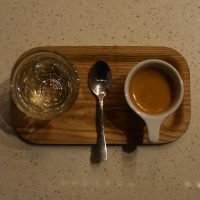 During the afternoon, if it’s quiet, you can ask nicely and staff will make you a pour-over on the Kalita Wave. Finally, if you’re hungry, there’s a selection of cake from old friends Cakesmiths. 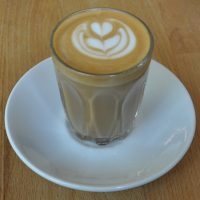 October 2017: I’ve learnt that Outpost has re-branded to Hard Lines Coffee, so to avoid confused, I’ve renamed it in this write-up. Flat Cap was set up by co-owners Fabio (of Notes fame), Rob and Charlie, although Fabio and Rob no longer work on the barrow. 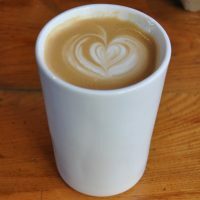 Despite being co-owned by Fabio, Flat Cap is independent of Notes (for example, there are no links, other than the name, with Flat Cap Borough in Borough Market), although there are close ties, with Flat Caps using Notes Coffee. 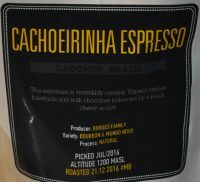 There’s a single-origin espresso which changes every few weeks, largely depending on what the roastery sends through. If you’re hungry (and there early enough! ), there’s a small range of pastries. 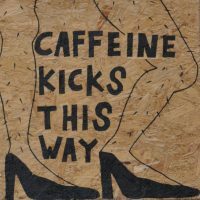 The CoffeeWorks Project is a small chain of three London coffee shops, which, since the summer of 2016, has also become a roaster as well. I first came across is towards the end of 2013 when there was just one, the original in the Angel. Despite liking it immensely, it’s taken me three years to visit its second branch in Leadenhall Market in the heart of the City. One of the many attractions of the original is the rambling space it occupies, which includes several interconnected spaces and a gorgeous downstairs garden to the rear of the property. In contrast, I went past the Leadenhall Market branch several times, but, from the street, it never looked that appealing. Its chipboard walls and counter gave it a slightly unfinished look and it never struck me as somewhere I would enjoy sitting and having my coffee, so I passed on by. September 2018: Sadly I’ve learned that the Leadenhall Market branch has closed. 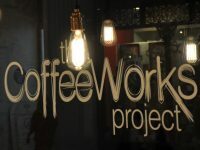 However, the good news is that CoffeeWorks Project is going strong and how has five branches!